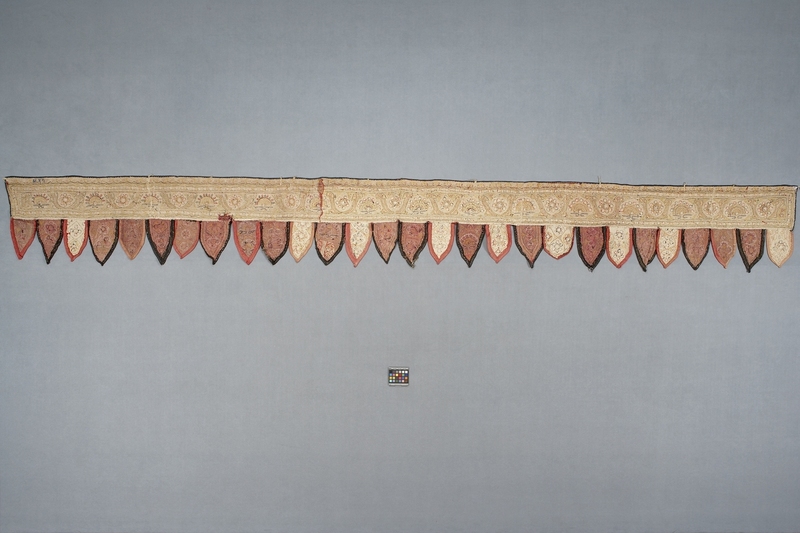 Item number Ef401 from the MOA: University of British Columbia. 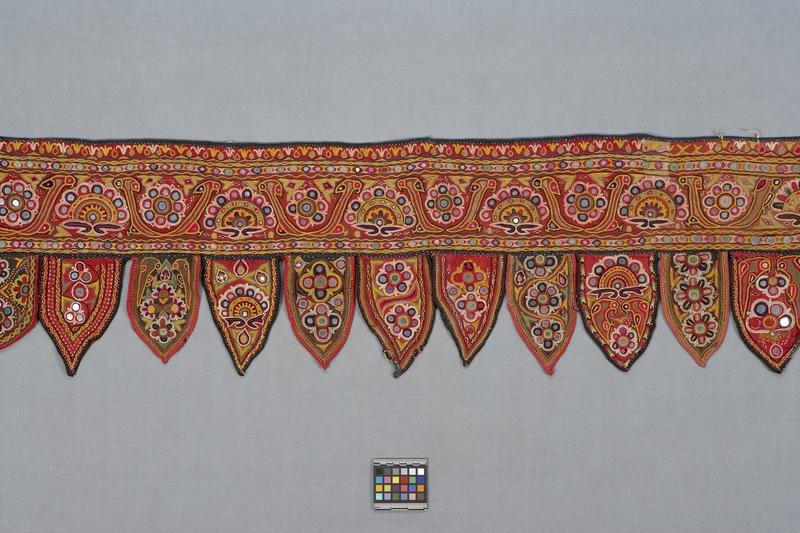 Red background on neutral lining; top portion of hanging is a long narrow rectangle edged in black with three decorative borders including one with mirrors. Alternating abstract peacock and parrot motifs along middle of top rectangle. Twenty-nine leaves hang from top, each with slightly differing dimensions; red or black binding on contrasting red or black background. Each leaf is unique but motifs are related. Some repeats are: five with petal motifs divided by undulating coloured lines, three with abstract peacocks; six pairs of centre-facing parrots. One cracked mirror in top border. Darning around some mirrors. 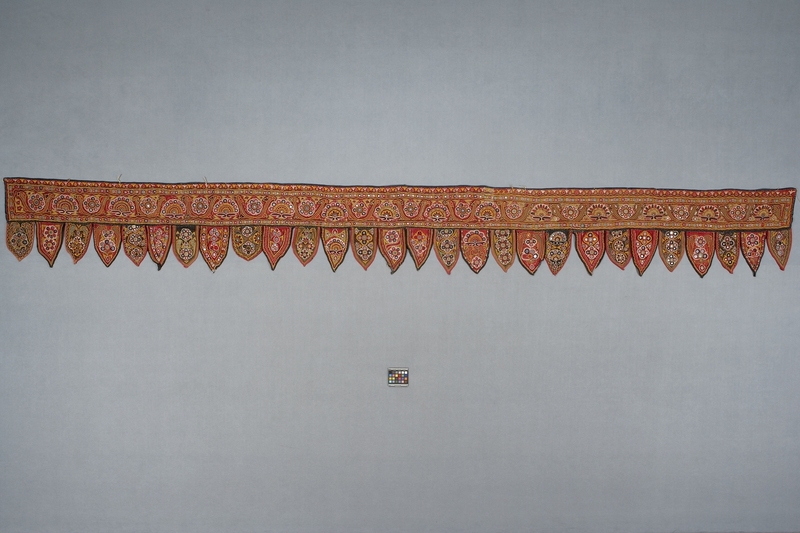 Hung in household during festivals such as Divali. Peacock is vehicle of six-faced god, Subrahmanya, son of Shiva and Parvati.